Finally applied some 'motar' and added a roof. The roof is watercolour paper cut into strips and layered upwards. The whole thing is coloured using enamels then weathered with acrylics. The scene is starting to come together now. The stone-built shed looks like it's been there for years! It's all looking very nice. Thanks very much chaps, the building was my favourite to work on, and I hope to add some finishing touches over the next little while. That's a very nice building Simon. Very realistically blended into it's surroundings. I have been playing with the layout recently, need to add weight to the locos, and clean the track right up then add more stock and loads but otherwise the layout is as done as I'd like it to be now. 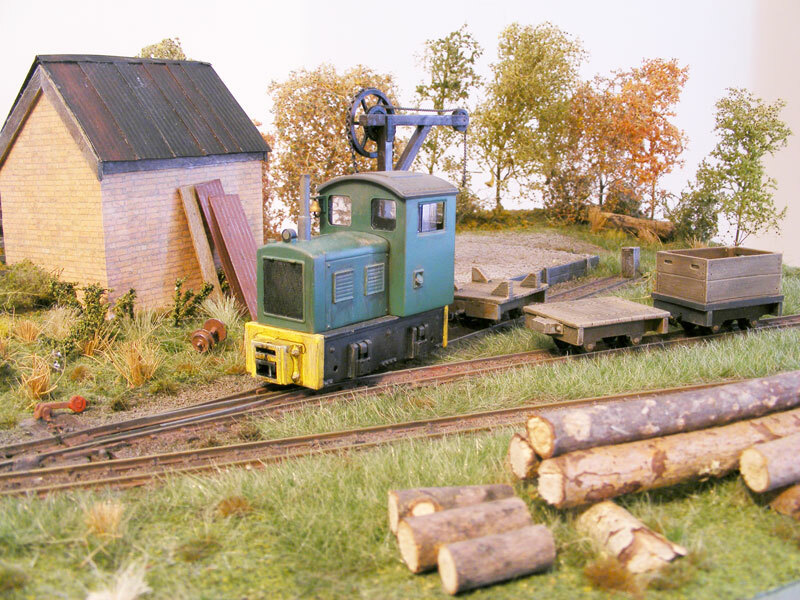 I have settled on calling the layout (in both Gnine and O9) Blackhall Farm Sidings. After I took these shots I added more static grass around the front, as I felt it needed a little more blending in. But if a layout is ever 'complete' I'd say this is as close as I can come to it. EDIT: One thing I didn't say was that I'm curious about maybe exhibiting sometime...does anyone know how to get onto the circuit at all? Ideally in the South. demaine22 wrote: One thing I didn't say was that I'm curious about maybe exhibiting sometime...does anyone know how to get onto the circuit at all? Ideally in the South. Well I'm on the other side of the world, but I'm sure they all work the same. First step is to find out when a show is in your area. 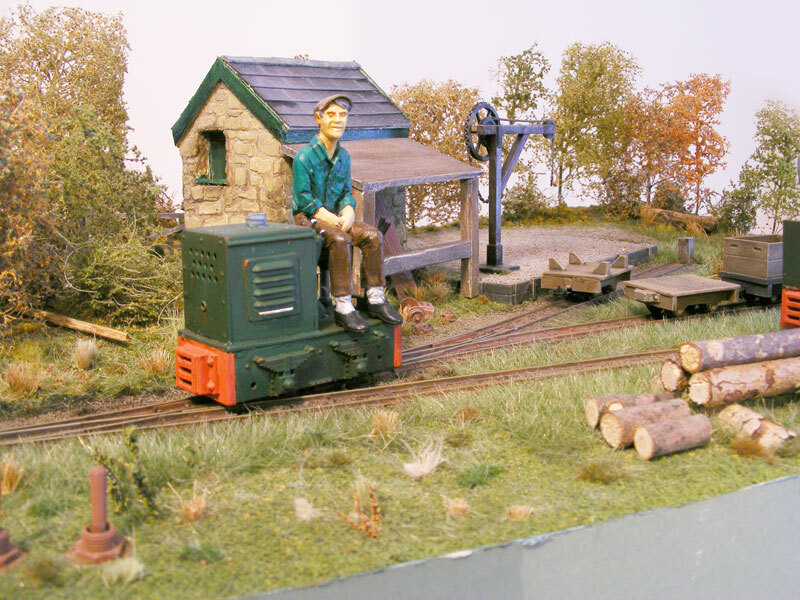 Either through advertising in model railway magazines, model railway clubs, model shops or search on the internet. If the model shop can't help, try emailing the editor of a model railway magazine. Then you need to find the contact details of the organiser. Ask any of the above. The size of your layout. A very short ( 2 sentences) description of your layout - where it is set, what it is, including scale. (they need this for preparing programme information). Tell them this is a new layout never displayed before. (they are always on the look out for new layouts). After seeing those photos, I'd be surprised if you didn't get an invitation. Once at the first show, you may well find you get approached by other show organisers. Or you can ask other exhibitors for contact details of organisers of other shows. They are bound to know a few. Regarding exhibiting I must agree with Glen. I've just looked at an old copy of Railway Modeller and there was over one page of exhibitions complete with contact details. There was also a whole list of clubs that might have exhibitions coming up. When (not if) you do get your first invite make sure that you make up an 'Exhibition Manager's' guide. A printed sheet with contact details for yourself, details of the layout, including photo's and layout dimensions including space around the actual layout that's required and any items required by you or the layout (lights/tables/chairs/power etc). Print out a number of these sheets, put them in envelopes and don't forget to take them to the show ! Pity you are in the wrong hemisphere otherwise I could probably set you up with a number of shows by the end of the week. Good luck with any shows that you do attend. demaine22 wrote: EDIT: One thing I didn't say was that I'm curious about maybe exhibiting sometime...does anyone know how to get onto the circuit at all? Ideally in the South. Seriously though, it depends on the kind of shows you want to do and how far you are prepared to travel. The advice given above is sound, you just need to contact the show organisers with the details and see if they are interested. Once seen, if you put on a good display, you will find the invitations for further shows will come, exhibition organisers tour other shows scouting for layouts all the time. 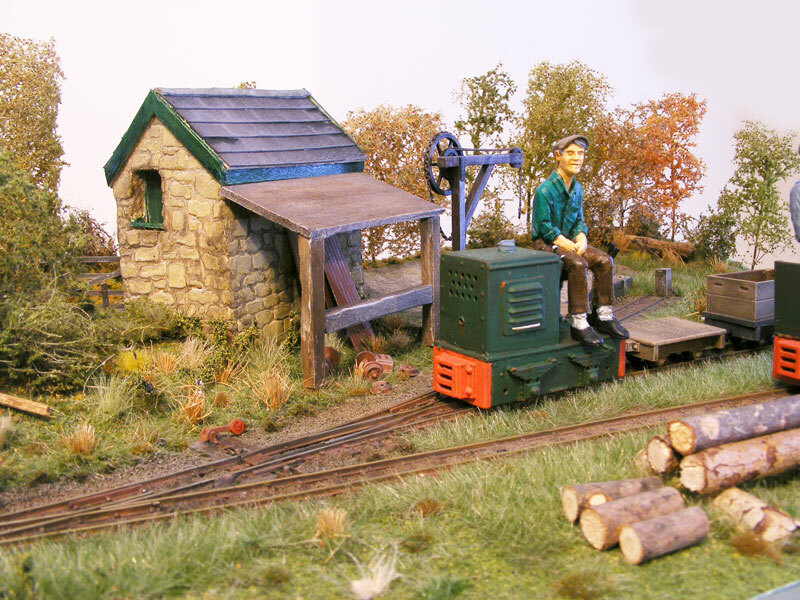 If you want contact details for the specialist narrow gauge shows, drop me a PM, I can probably help there. I know, I have a shunting wagon which links to the loco and Greenwich couplers on the other stock...I could never find the correct replacement wire for the DG's so decided it would be a 'better the devil you know' situation. Thanks chaps for your advice on pursuing exhibitions, there is one show in particular I have in mind that I'll try first and we'll see if that leads any where. I think that you might be able to get black coated versions (certainly you can get green, which might be OK) but I don't really paint mine, its not that noticeable. Not sure if that is the correct thickness of wire, or what mine is, but basically I bought a cheap pack of 7" lengths of galvanised florists wire. It didin't say it was steel, but I figure galvanising it would be a waste of time if it wasn't! Then you can just bend the loop/dropper in one piece and they're magnetically operated. I get a little concerned about the thickness of the wire, but I think for under £2 it may just be worth a gamble! demaine22 wrote: I get a little concerned about the thickness of the wire, but I think for under £2 it may just be worth a gamble! Hope I'm in time, it is too fine for what you want. I am really impressed with the static grass.I thought my APA layout was so small it could do without static grass,,but having seen the diffrence it has made to your layout,i am not so sure now. derrickn wrote: I am really impressed with the static grass.I thought my APA layout was so small it could do without static grass,,but having seen the diffrence it has made to your layout,i am not so sure now. Not sure you need it Derrick, but if you do decide to, try it on something else first, it's far too easy to get carried away when you start on static grass. Thanks Steve,i needed a voice of reason to keep me on the straight and narrow,its easy to get carried away when you see something good on someone elses layout. Exhibitions, getting a foot in the door can be difficult. When I moved north I joined the local club, having never been a member of any local club before. It helps when the town is one of the friendliest in the country, but I then just threw myself on them offering to put on small demo display at the annual exhibition, and exhibited every year from then on. I built something new each year, which probably accounts for my large number of projects now. From getting known in one club, it took a long time before being invited to any other shows, possibly because my annual efforts were not as good as intended. I did eventually get invited to another show after moving, and from there got to some further afield, but invites are still very low. Having articles published helped a little, but getting into print can be almost as difficult as getting invited to exhibitions. Modelling something different helped me. So first thing I would suggest is joining local club(there used to be one in Banbury when I lived there, but I only visited their show once). Even if local club/exhibition does not have anything specifically of interest to you, offering a FREE layout is rarely turned down. Thanks Simon, I'll look into the possibility of joining the local club. I agree completely, do experiment, static grass is a great scenic material. 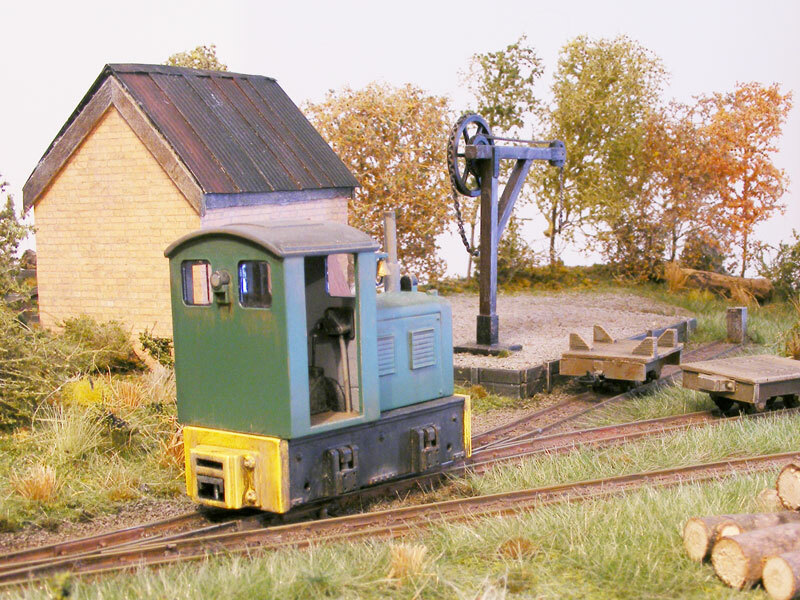 BUT, having seen Derricks layout, that is not the place to experiment, its really nicely finished already. when I lived in Banbury, club was connected to the big local food company(Maxwell House coffee producer I think), but it is over 20 years ago since I moved from there , up north. Also be warned , not all clubs are as friendly as the ones we have up here. 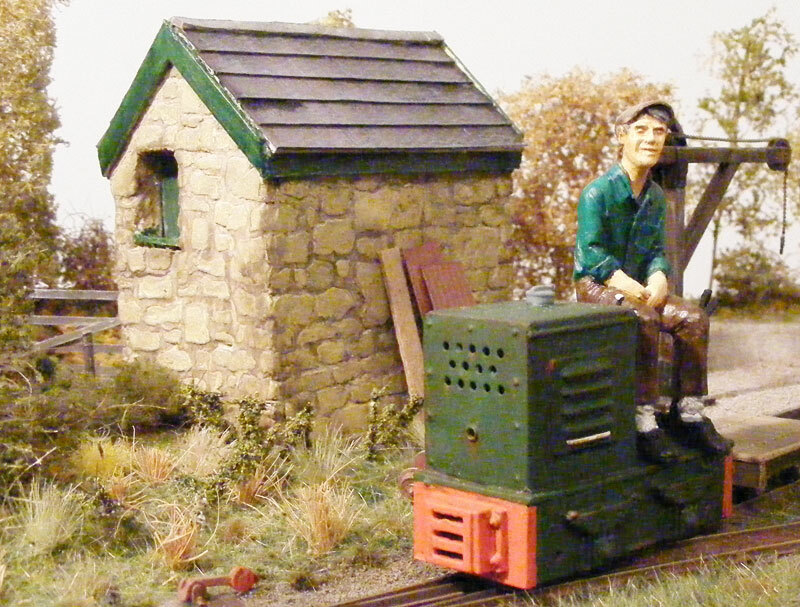 Also worth while talking to any local model railway shops, and you might have more luck down in Kidlington(Oxford). The only shop in Banbury when I was there was Beatties, not much use, and long gone. The group I am part of , here, started out as a discussion in shop locally, the same model shop I later tried to help run. If no luck then contact local newspaper asking for anyone interested in creating a club locally. Costs can be minimal, meeting in members homes or the local pub. Thanks for the advice guys,as a compromise,i will experiment off the layout,before doing anything rash. 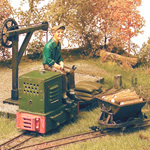 Take a look in the latest copy of 009 News for a review of the Oxfordshire NGRM June 2012 show. We are a friendly local group and have had our first show, new members are most definitely welcome. I live in Oxfordshire NOW and find that there is a perfectly good, well stocked, model shop in Banbury and (speak as a satisfied customer only). Unfortunately I can't agree with a lot of the attached quote which appears to be 20 years out of date!. 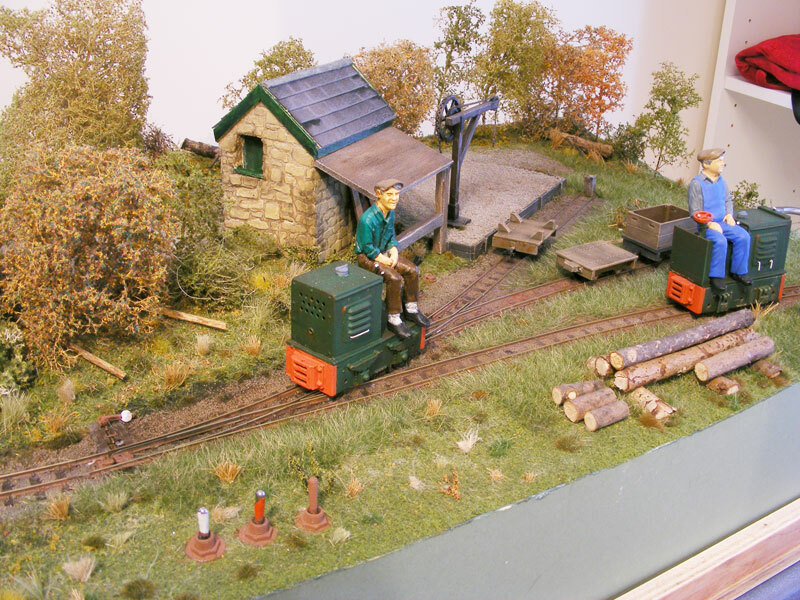 Also worth while talking to any local model railway shops, and you might have more luck down in Kidlington(Oxford).